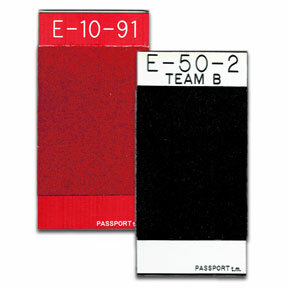 4" x 2" plastic Passport™ collector for identifying companies or teams. To be used with Passport™ name tags. Available in rigid or flexible vinyl and assorted colors. Add up to 3 lines of custom text.